First Class Presorted 2 oz letters can now be mailed at the same rate as 1 oz letters. That's over $.20 savings per piece! "L&M has been a valued partner of WESTconsin Credit Union for more than 15 years. We rely on them to stay current on postal guidline changes. They always provide professional, timely, and outstanding service; saving us time, money, and hassels." 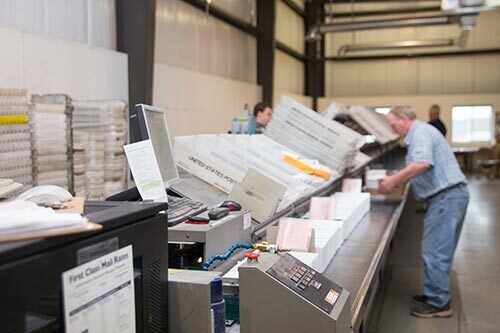 Presorting your mail through L&M saves you money on your postage costs. Our first class mail service eliminates your trips to the post office or drop box. Why Use L&M Mail & Courier for Presorting? By presorting through L&M, you can achieve maximum postage discounts.